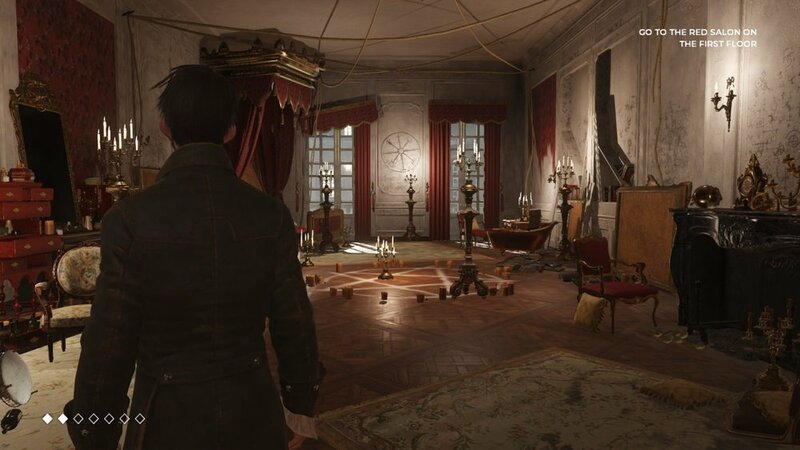 The Council is a unique addition to the narrative adventure genre that combines character choices and RPG elements to bring players an appealing story that encourages multiple playthroughs, but it isn’t without its flaws. Big Bad Wolf’s The Council follows the story of Louis de Richet, who is searching for his mother. Louis’ search brings him to an island where the mysterious Lord Mortimer has invited important historical guests like Napoleon Bonaparte and George Washington for unknown reasons. Louis’ mother has left clues behind, but the main mystery of the game is where and why she has gone missing. Unfortunately, most of this chapter suffers from slow pacing as it’s setting up the mystery, but by the end there’s enough intrigue surrounding the island and its inhabitants to make players want to continue the journey. In order to uncover the mystery, players participate in three major forms of gameplay: exploring, small conversations, and big decisions. Small conversations make up most of the gameplay and can influence certain big decisions later in the story, especially when conversations turn into “confrontations,” which change how the story progresses based on whether a player succeeds or fails. Small conversations and confrontations are where the RPG mechanics come into focus, which is what sets The Council apart from similar Telltale titles. Early on, players choose one of three areas to focus their expertise. Players can either be a Detective, a Diplomat, or an Occultist. Each area has its own subset of skills that players can level up between chapters. These skills unlock specific dialogue options during conversations, which encourages replayability. Players can use skills to help them succeed in moments of confrontation but to do so requires “effort points.” Effort points can be replenished from various items players can pick up, and resource management is important to doing well in conversation scenarios. While small conversations influence the type of information you gather or items you can obtain, big decisions alter the course of the game. The exploration aspect of gameplay is self-explanatory: during moments of exploration, players can walk around and click on objects they find within the environment. This is where players can find items like consumables for replenishing their effort points or clues that require solving. While the mystery is engaging, and RPG mechanics add an interesting element to the solid narrative design, The Council suffers from poor voice acting and disjointed writing. And while the character models and setting are unsettling in a way that fits the mystery, the graphics still need a little polishing. Of course, it’s not all bad, but most of the poor vocal delivery comes from the protagonist, who has more dialogue than anyone else in the game. Often Louis’ tone doesn’t match his facial animations, which makes certain lines fall flat. Despite the minor faults with its writing and voice acting, The Council is a solid, unique take on narrative-based games with an interesting setup that makes the upcoming episodes worth noting.